The Nuremberg Toy Fair 2014 was very successful for the MPM Production company. The Nuremberg Toy Fair 2014 was very successful for the MPM Production company. Business dealings have been fruitful and our models were also awarded with two ModelFan Magazine prizes. The whole series of Special Armour V2 rockets and accompanying transport vehicles won this prize and the 48th Fairey Firefly fighters were also awarded, these are in the Special Hobby range that includes the war-time Mk.I version and also the post-war Mk.4/5/6 machines. 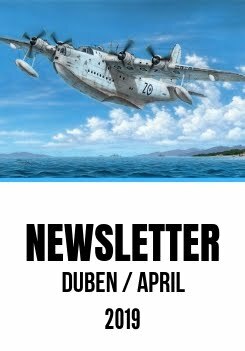 We were also very happy to be able to present testshots of our forthcoming models such as AH-1G/Q/S Cobra, DH Vampire, Mirage F.1, Fouga Magister / Zéphyr, Sunderland Mk.V in the 72nd scale, also AF-2S/W Guardian in the 48th scale, and other models too.